The HM1350 features Simple Pairing technology, automatically pairing with the closest Bluetooth-enabled device. Simply turn on the Bluetooth feature on your smartphone, then select the HM1950 and you’re connected; no passcode needed. Samsung Galaxy Buds Wireless In-Ear Headset - White. Condition is New. Dispatched with Royal Mail 1st Class. I got these with my S10 preorder but have no use for them, hence the reason for sale. samsung bluetooth earpiece. Condition is Used. Dispatched with Royal Mail 1st Class. Condition is New and sealed. Came with new phone, direct from Samsung. Dispatched 1st Class, insured and signed delivery. Durable bluetooth handsfree. Bluetooth sports music fashion earphone. White Colour. Location: Like Sports and Listen to the music when in motion. If you face any of the following issues like. 99% Orders are received within 48 Hours. And when you’re done, Galaxy Buds connect to device-to-device wireless power-share compatible Galaxy devices. So, your Buds are always ready to go. Samsung Galaxy Buds. Slip them in your pocket and go. 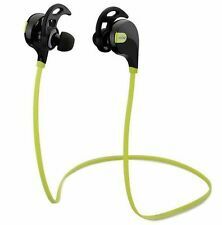 Samsung Level Active Wireless Bluetooth Sweat Resistant Headset Headphones. 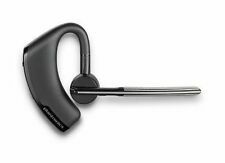 Your EO-BG930CB features a pre installed flexible ear hook to keep the headset in place during even the most intense workout or activity. Brand new and sealed Samsung Galaxy Buds (White) Samsung Galaxy Buds Wireless In-Ear Headset - White - Brand New - Sealed. Condition is New. Dispatched with Royal Mail 1st Class. SAMSUNG GALAXY BUDS Wireless In-Ear Headset - White!! BRAND NEW STILL SEALED!!! SAMSUNG GALAXY BUDS Wireless In-Ear Headset - White!! BRAND NEW STILL SEALED!!!. Condition is New. Dispatched with Royal Mail 1st Class. 5 out of 5 stars - SAMSUNG GALAXY BUDS Wireless In-Ear Headset - White!! BRAND NEW STILL SEALED!!! 2 product ratings2 product ratings - SAMSUNG GALAXY BUDS Wireless In-Ear Headset - White!! BRAND NEW STILL SEALED!!! The Hobest Wireless Earbuds have great compatibility with Most Bluetooth-enabled Devices such as iPhone7 6S 6plus SE 5, Samsung Galaxy S8 S7 S6 S5 plus and Note8 Note7, Huawei, LG G5, iPad etc. Truly Wireless,Durable Sweatproof & Ultra-Snug Design make your listening experience better. Samsung Galaxy Buds Wireless In-Ear Headset - White. Condition is New with the box still sealed. Dispatched with Royal Mail 1st Class. 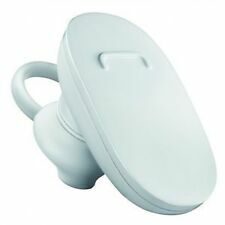 Samsung Galaxy Buds S10 / S10 WHITE True Wireless SM-R170 Headphones IMMEDIATE. Condition is New. Dispatched with Royal Mail 1st Class. 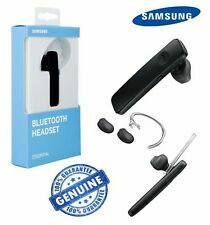 Contents: Samsung Mono-Bluetooth headset EO-MG920, earhook, 2x ear gels, user manual. Bluetooth 3.0 with multipoint support. Key for accepting and ending calls. Technical data. Genuine & Sealed Samsung Galaxy Buds WHITE - True Wireless SM-R170 Headphones. Condition is New. Dispatched with Royal Mail 1st Class. Samsung Galaxy Ear Buds WHITE True Wireless SM-R170 BRAND NEW SEALED. Condition is New. Dispatched with Royal Mail 1st Class. It was a free addition to pre-ordered Samsung Galaxy 10. Unsealed, with all the serial numbers. I'll send out with paperwork it came to prove its authenticity. Samsung Galaxy Buds Wireless In-Ear Headset - White. Condition is Brand New, unopened in it's original packaging. Dispatched with Royal Mail 1st Class. 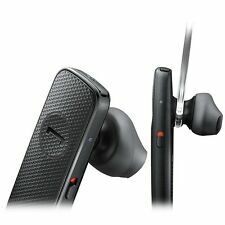 Genuine Samsung EO-MG920 Universal Bluetooth Wireless Bluetooth Headset. Condition is New. Dispatched with eBay delivery – Shutl 2-3 days. This Bluetooth wireless headset is one of high-end products, with it you can enjoy hand-free communication by chatting on your phone or listening to music in comfort when driving, working or exercising. Easily sync the Galaxy Buds to your smartphone, connect to your smartwatch or link them to your tablets (Bluetooth connectivity required). Samsung's Galaxy Buds: from podcasts on your commute, to playlists in the gym, with its wireless design, you can take your audio with you anywhere. Enjoy music in stable quality no matter where you are. Clear and powerful sound with advanced noise cancellation. OFFICIAL SAMSUNG ANC HEADPHONES FOR SMARTPHONES/MP3/MP4. Balanced music experience (20Hz-20kHz). Samsung HM1200 Mono earphone Original Wireless Bluetooth Headset Dual Connect. Samsung Bluetooth headsets for mobile phones and PDAs give you hands free functionality when taking calls. This can allow you to speak on the phone when driving as they are much less of a distraction. Most headsets are black to give them an understated look. Bluetooth headsets come in a range of different fits. Earhooks are the classic phone headset, neckbands fit around your neck and in-ear headsets that give you a higher quality of sound. Noise cancelling Bluetooth headsets are available. These Samsung headsets allow you to take calls in noisier areas, including a busy workplace, as any background noise is lessened and the microphone is often stronger. Samsung ear hook headsets allow you to stay on the move whilst on the phone. The hook secures the headset to your ear, allowing you to stay mobile without having to worry about the headset moving out of place. Many types of Samsung Bluetooth phone headsets provide voice control which is incredibly useful when you need to keep your hands free. The voice command allows you to call people, meaning that you can focus on other tasks. Some Samsung Bluetooth headsets have two earphones. Neckband headsets usually feature two earphones and give you higher quality audio than models with single earphones. These also allow you to listen to music on the go. The most inconspicuous headset is the Gear IconX. These are an in-ear headset than have no wires, meaning that the whole headset fits inside of your ears. These earphones allow you to stay active without worrying about any bulky headsets or wires. 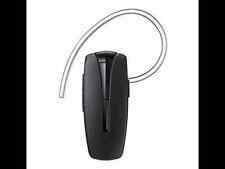 For increased hands free functionality in your vehicle, there are Bluetooth wireless headset car kits available. These kits allow you to mount and charge your phone when in the car and can still be used when on the mount. Samsung is a mobile phone and tablet manufacturer from South Korea. It was originally founded in Samsung town in Seoul in 1938 as a trading company but moved into electronics in the late sixties. Their electronics division was founded in 1969 and is the flagship division of Samsung. They are one of the world's largest manufacturers of mobile phones and tablets and this is largely down to the popularity of one of Samsung's most renowned mobile phones - the Samsung Galaxy. As well as mobile phones, Samsung also manufacture tablets, TV's, DVD players and hard drives.